Luke Gordon (Nukem) is a local DJ, father, and friend of FourFour. Unfortunately, Luke’s step son Caleb was recently involved in a car crash and is being taken care of by the wonderful staff at Queens Medical Centre, Nottingham. 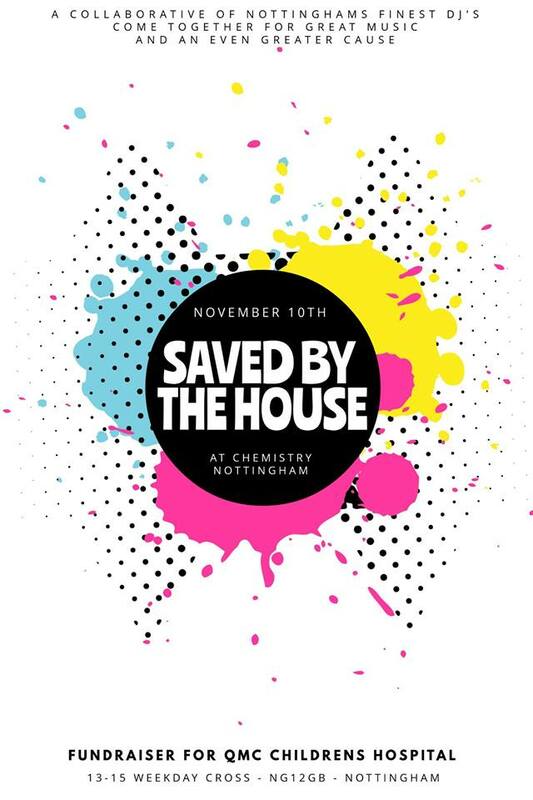 Saved by the House is a fundraising event, where local DJs are coming together and performing to raise money. The event is taking place on November 10th at Chemistry, from 2pm-2am. There is a link to the event page here. You can also make a direct donation via PayPal here. The aim of the event is to raise money to buy tablets and Nintendo Switches for the children’s ward, so that the patients can be entertained during the day. FourFour will be attending the event to support this amazing cause. We all send Caleb our love, and wish him a speedy recovery.